The art of Aram Khachaturian appears to be an isle of joy in the the 20th century music that was full of tragicalness, reflections and often emotional and intellectual estrangement. Khachaturian’s true music is full of energy and genuine optimism. Bright contrasting colours inevitably caused associations with the fine arts. Perhaps Boris Asafiev who, in the mid-1930th, described Khachaturian as the Rubens of our time and his music as the art of the High Renaissance drew most convincing parallel. 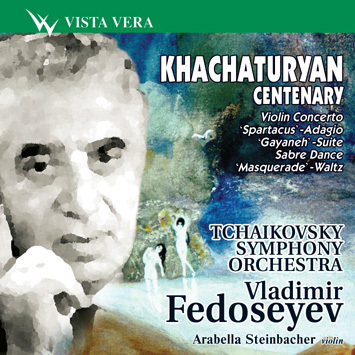 Khachaturian was the first composer of the East to become a classic in the West. His music is built on a twofold foundation: that of Armenian folk music with its explosive and impulsive improvisations of the national singers, the ashugs, and on a European tradition of the 20th and 20th centuries (for example «Oriental» music by the composers of the «Mighty Handful», in particular Borodin and Rimsky-Korsakov and ideas by Prokofiev and Maurice Ravel in the field of the language of music and orchestration).